This easy-peasy dish is the perfect accompaniment with any type of rice recipes like pulavs or biryanis. It provides the perfect balance against the hot, spicy rice dishes. Mix the ginger-green chilli paste with the curd. Just before serving, add the boondi so that it retains a crunch. Garnish with a pinch of red chilli powder and cut coriander leaves. Note :The yellow boodi is commonly available at any farsan shops or general stores in India. 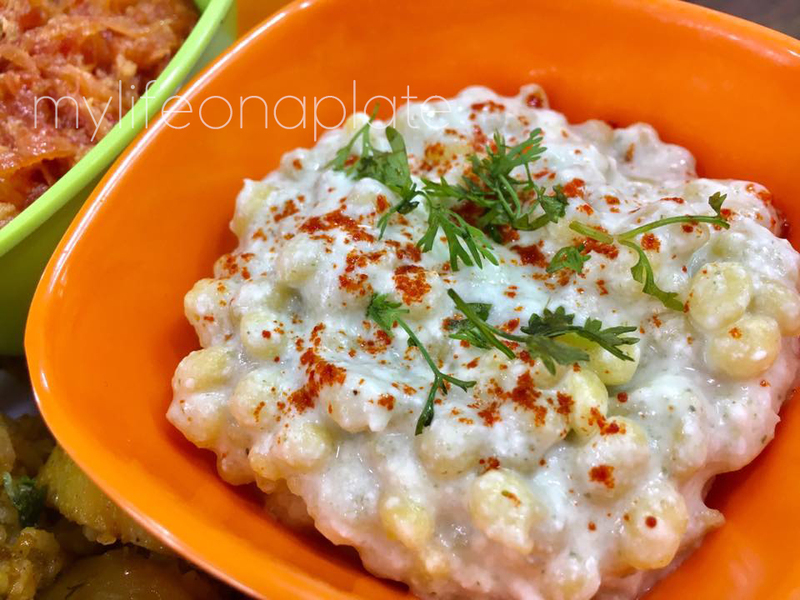 Boondi is made up of tiny deep fried balls of besan or chickpea flour. It is also used in making sweet laddoos.